Experience meets passion at Lauren Gallery, a prestigious auction house founded by one of the industry’s most esteemed experts. 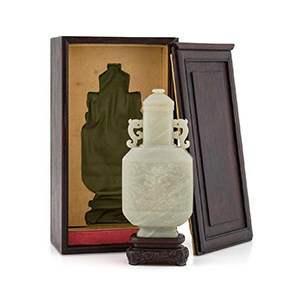 Our knowledge transcends regional borders and extends globally, with a focus on Asian and European antiques. We offer the level of bespoke service and exclusivity that have come to be admired by notable clients. It’s our philosophy to treat each new client as an opportunity to establish a lasting relationship, and we lend our perspective, vast network, resources and dedication, to securing impressive results and becoming your reliable partner. Comprehensive auction management services are delivered with unparalleled attention to detail, and we customize and fashion our approach with each client individually, ensuring that your specific needs are catered to and met. From renowned selling exhibitions around the world, to art education, retail wine and diamonds, financing, and more, Lauren Gallery expands your reach and enhances your ability to engage the market. Among our numerous fortes, we provide valuations, museum and corporate art services, private sales, appraisal and auction services, trusts and estates representation, and others, with the highest caliber of professionalism. Our connections with museum curators, major dealers, prominent collectors, and industry veterans are held in the highest regard, and these contacts prioritize communications and requests from us, giving you an edge that can make a substantial difference. We take great pride in presenting clients with a unique cohesion of traditional auction style and class, with the efficiency of the latest in communications technology. This combination brings together the feel of a century of elite auction heritage, with the dynamic of modern digital applications. Lauren Gallery is the ideal team for any existing strategy, preferences, tastes, or curiosities you wish to explore, and we can assist you with your most challenging acquisitions or sales. Allow our professionals to support you throughout the entire appraisal, consignment and auction process.